The Nicoya Peninsula offers some of the most pristine beaches you will find in Costa Rica. The area is less developed than other coastal areas and is famous for surf breaks and laid-back culture. 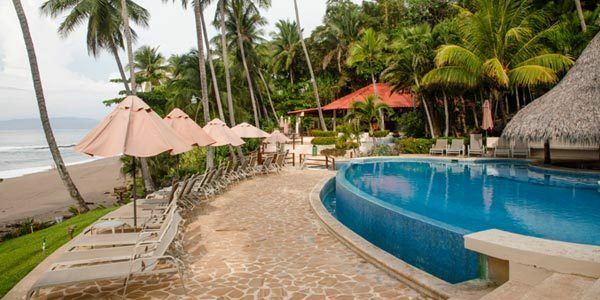 Set on the unspoiled beaches of the Nicoya Peninsula in Costa Rica, Tango Mar Beach Resort offers modern amenities set in a tranquil, privileged destination. Retreat to a secluded island and experience camping with hotel amenities & ocean views. Immerse yourself in Costa Rica's nature. Home to popular tourist destinations such as Marino Ballena National Park, Barra Honda National Park and the pristine beaches of Playa Conchal, Playa Ocotal and Playa Hermosa, the Nicoya Peninsula is a tropical paradise just waiting to be explored. When planning your vacations to Costa Rica, be sure to check out the best hotels in Nicoya Peninsula Costa Rica and ensure your accommodations are as luxurious as the golden sands of the area’s beaches. If you’re coming to Costa Rica on your honeymoon or just looking to rekindle an old flame, there are few places better to stay than Latitude 10. This hotel’s name is taken from the fact that the establishment is located 10 degrees north of the Equator where the Pacific Ocean meets one of the Nicoya Peninsula’s most magnificent beaches. 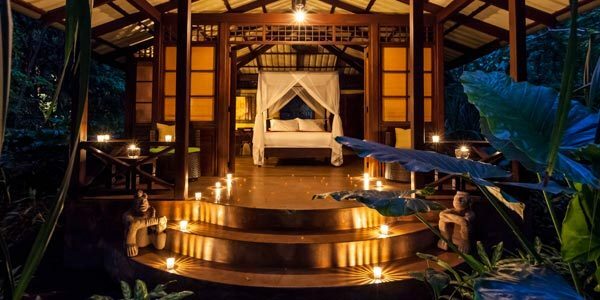 Although Latitude 10 is just moments away from the sand, the hotel itself is set back amid tropical overgrowth, giving it a romantic air of seclusion and privacy. After a long day swimming in the private pool or lounging on the nearby beach, you can enjoy some of the finest food in Costa Rica at Latitude 10’s clubhouse restaurant. Here, imaginative and tantalizing gourmet meals are prepared and served by the hotel’s resident chef, who just so happens to specialize in the kind of seafood dishes for which the area is famous. Literally a stone’s throw from the beach, the Tango Mar Resort is undoubtedly one of the finest hotels in Nicoya Peninsula Costa Rica. Part of the appeal of Tango Mar is getting there, as to say the hotel is off the beaten path would be an understatement. To get there, you’ll have to take a domestic flight to the nearby Tambor Airport, or charter a boat or private ferry to take you across the picturesque Gulf of Nicoya. Once you arrive, get ready to experience a whole new world of tropical relaxation. Tango Mar is perfect for guests who want to get back to nature and escape the hustle and bustle of everyday life. During high tide, the waves of the Pacific Ocean actually lap against the side of the main building, providing the perfect natural soundtrack to a relaxed evening watching the sun set. Alternatively, if you’d rather stay a little more active, you can always try your hand at the resort’s challenging 9-hole 3- and 4-par executive golf course, or embark on an exciting hike through the tropical jungles that surround this remarkable hotel. Another one of the boutique hotels in Nicoya Peninsula Costa Rica, the Punta Islita Resort is nothing short of spectacular. With 32 air-conditioned suites, this hotel combines the very best features of an intimate beachfront guesthouse with the amenities of a luxury five-star resort. A highlight of Punta Islita is the outdoor private whirlpool water spa, a tranquil pool that overlooks the Pacific Ocean. Imagine sipping on a cocktail while watching the sun set over the ocean, all from the comfort of a temperature-controlled pool. Sounds too good to be true, doesn’t it? Well, at Punta Islita, this is just one of the wonders that await you. Punta Islita is an ideal destination for couples and families looking to unwind. The hotel hosts regular beachfront yoga sessions to help you regain your inner calm, and the on-site spa is staffed by professional masseuses who will work every knot and kink out of your tired muscles.